Fabric Feature: Olefin | Do-It-Yourself Advice Blog. When it comes to durable fabrics, most people have heard of acrylic and polyester, but have you heard of olefin? Olefin fabrics are taking patio furniture by storm because of their strength and durability. Olefin can sometimes have a wool-like feel, but also is used to make flat woven fabrics and velvets. In today’s Fabric Feature, we’re going to take a closer look at olefin, the great fiber behind Geobella Fabrics. Olefin is a synthetic (man made) fabric that is derived from ethylene and propylene. It was first developed in Italy in 1957. Olefin is manufactured by melting the chemicals and feeding them through a spinneret (a large shower-head like device) to form long fibers. Olefin is difficult to dye once it has been formed, so it is usually solution-dyed with the colors being added directly to the polymers before or during melting. The production of olefin is very environmentally friendly. The production process results in very little by-product, meaning that it creates nearly no waste. Also, the fiber itself is recyclable and can be re-extruded up to 10 times. Olefin is very heat sensitive and the fabric can break down and melt in extremely high temperatures. This isn’t a problem for day-to-day use, but does mean it requires a little extra care when cleaning. After washing olefin fabrics they should be line dried or tumble-dried with gentle or no heat. Also, in general, avoid ironing olefin. If you must iron, use the lowest temperature setting available. Olefin as a basic fabric also is sensitive to sunlight. However, most olefin fabrics that are manufactured for outdoor purposes have stabilizers added to counteract this problem. Olefin fabrics are versatile for a variety of applications. They are used in automotive interiors; home furnishings such as patio cushions, upholstery, and wall coverings; and industrial uses like disposable non-woven fabrics, filter fabrics, bags, and geotextiles. 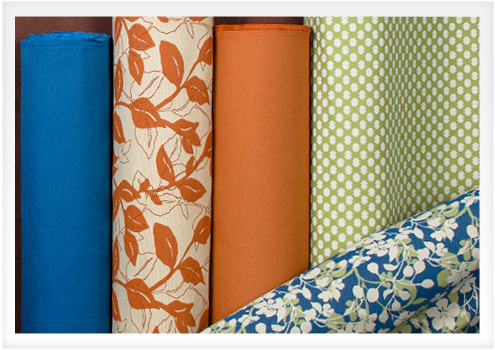 At Sailrite, we carry Phifer’s line of Geobella Outdoor Cushion Fabrics. We recommend Geobella for outdoor patio use and for indoor furniture that will receive heavy wear. 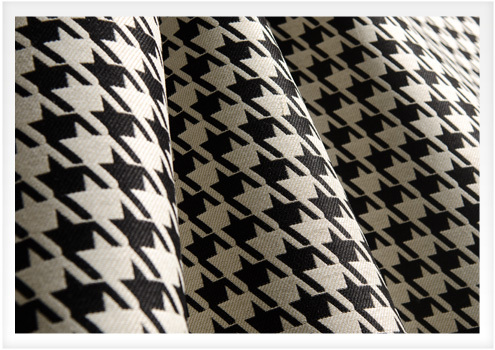 See our full line of stylish Geobella Fabrics at www.sailrite.com. Can’t get enough of the Fabric Features? 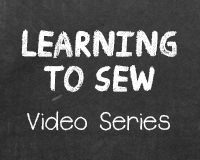 Be sure to check out our previous fabric posts all about Acrylic, Polyester, and Cotton. Come on!!! Really? What a load of crap. Olefin is terrible and you know it. I work on patio furniture down here in San Diego. It is so sad when people spend a lot of money on patio furniture and a few years later it is completely disintegrated because it was made of olefin. How about this contradiction. This was under your drawbacks paragraph “Olefin as a basic fabric also is sensitive to sunlight. However, most olefin fabrics that are manufactured for outdoor purposes have stabilizers added to counteract this problem.” So are you recommending it in the sun? It kinda sounds like you are. If so it should be in the “Why olefin is great”. Sorry for the rant. It is just a little annoying to be offering “helpful information” when we all know in the industry acrylic trumps olefin and the only point of your post was to sell this crap at the expense to those who end up using it in the sun. You’re right, when it comes to UV resistance alone acrylic does beat olefin. We carry a larger selection of acrylic fabrics, in fact. However, there is more to consider than just UV resistance. Olefins have excellent abrasion resistance and depending on where in the country you live, it might be a better choice for you if your cushions would wear out from abrasion before UV. Additionally modern, higher end Olefins are made with stabilizers to help make them more UV resistant. The olefin we carry, Geobella, actually comes with a 3-year warranty, which is better than low-end mainstream fibers like polyester or acrylic.